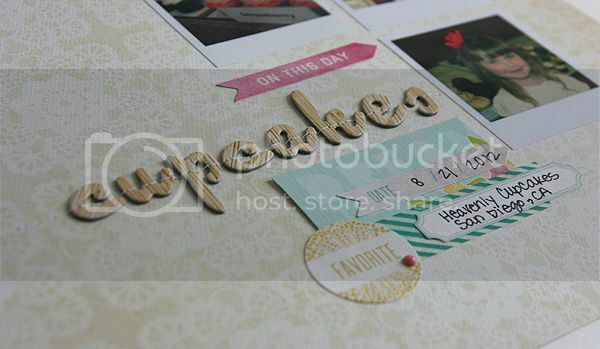 A super page I love all the little photos and the woodgrain alpha and it looks like a super day. Sweet! Is the cupcake border paper or washi? Very sweet page, Mary Ann. winter break is over here too. Back to school for my youngest. I'm happy to be able to get back into a routine again. I love your layout. Great design. This is so sweet- love the design! Love how you stitched over the woodgrain alphas! The cupcake washi is perfect! This is super cute! Love the instant photo look! Very cute using that Washi! Thanks for sharing your layout! This one is a favorite! Love the little cupcake border and the bit of layering - cute stuff!